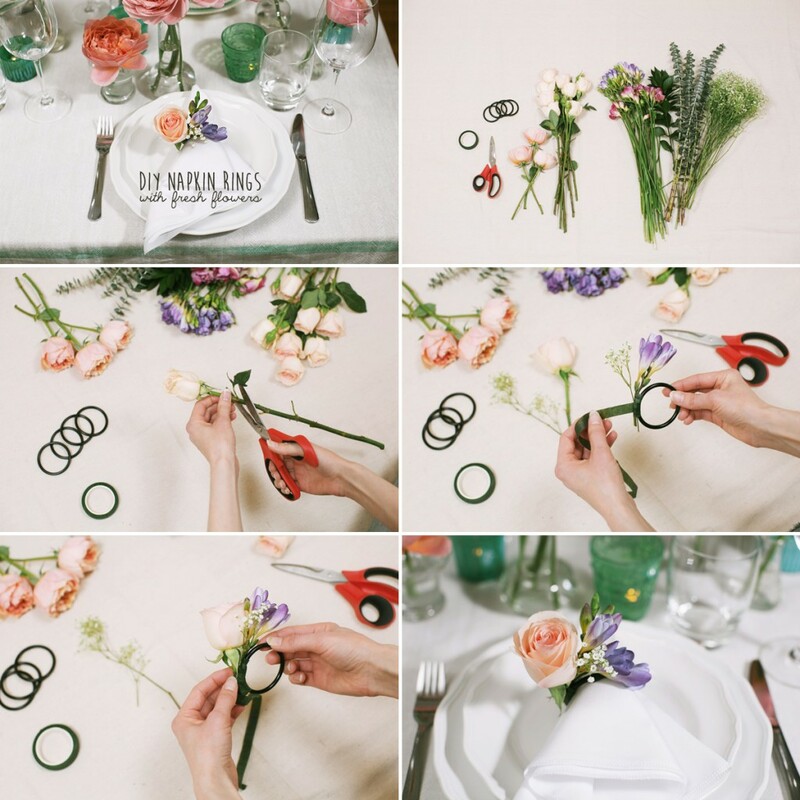 Home DIY's	DIY Fresh Flower Napkin Rings! To see all the DIY Steps…Click Here! Special Thanks to Blue Jar Events for creating these beauties with wholesale flowers from FiftyFlowers.com. Lara Kimmerer for the gorgeous photos and Wedding Bee for featuring the project! Featured FiftyFlowers Review – Gorgeous, Affordable Flowers for an English Garden Wedding! Baby’s Breath & Lace: 4 Different Varieties, ALL on Sale!